So when is the iPad coming to Australia? 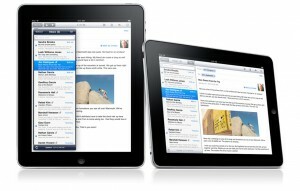 Apple have been quiet lately with any new details to the Australian iPad launch. Apparently you will be able to pre-order online on the 10th of May, but the official release date of late May is still all we know. The demand in the US does not seem to be slowing up so there could be a possibility of a further delay in Australia. I was looking on eBay Australia and some people are paying close to $2000 for the 64GB version. It seems many Aussies in the US are bringing them back and selling at a very tidy profit – never doubt dedicated Apple fans!